Prof. Wang is on the editorial boards of more than 10 journals, including Energy Economics, Information and Management, Journal of Management Systems, Information Technology and Decision Making, Journal of Systems Science and Complexity, Journal of Management Science, and Journal of Systems Science and mathematical Sciences. He also serves as the guest editor of an issue/volume of several journals including Annals of Operations research, and European Journal of Operational Research. Prof. Wang is the Chairman of the Decision Sciences Society of China, Vice Chairman of the Operations Research Society of China, Secretary-General of the Systems Engineering Society of China, and also an expert of the Disciplinary Consultative Group of the Academic Degrees Committee of the State Council, a member of the National Postdoctoral Management Committee of the Ministry of Human Resources and Social Security, and a member of the Advisory Committee of Management Sciences of the National Natural Science Foundation of China. He also serves as honorary professor or part-time professor in over 20 prestigious universities at home and abroad. 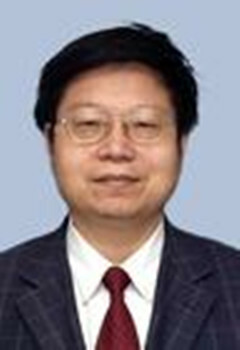 1996 Chair professor of "100 Talent Program of Chinese Academy of Sciences"
Prof. Wang has published 28 monographs, 7 of which were published by Springer, and over 180 journal articles in leading journals including Journal of Optimization Theory and Applications, Computers & Operations Research, European Journal of Operational Research, International Journal of Systems Science, Journal of Mathematical Analysis and Applications, Group Decision and Negotiations, Optimization, Annals of Operations Research, and Mathematical Methods of Operations Research, 133 of which are indexed by SCI and SSCI. All the published articles have been highly appraised and widely cited by international peers. Due to his international reputation and influence, he has been invited to serve as the editor-in-chief, department editor, associate Editor or a member of editorial board of 15 international leading journals, and 8 domestic leading journals. Meanwhile, he has made outstanding achievements in policy research. More than 90 of his policy reports have been submitted to the Central government, over 30 of which were adopted by the General Office of the CPC Central Committee and the General Office of the State Council, and 12 of which were commented by the Premier. A number of national leaders give high praise of his work in policy research.